Digital printing presses first came into the market in the early 1990s. With technology evolving in leaps and bounds, many industries have gone digital including television, telecommunications and cable network. 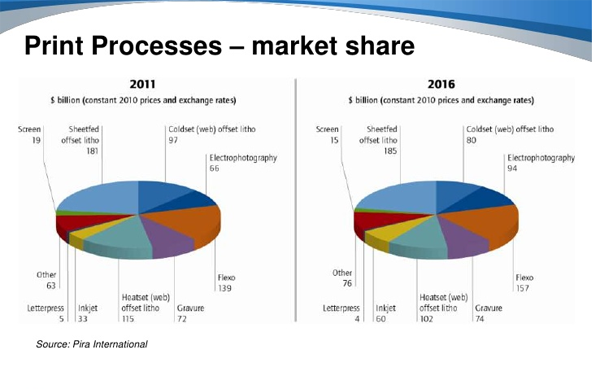 The printing industry has not stayed behind and the digital printing sector recorded a growth of 30% in the year 2014. The popularity of digital printing is owing to the integration of new technologies making it more and more cost effective and easy to use. While the former king of printing, offset printing, stays a popular choice for high volume projects, digital printing has otherwise taken the market by storm. Digital printing is the simple process of printing images from data stored on files on a computer. Instead of employing heavy machinery, digital prints are directly printed from a computer screen. It is possible to modify an image while printing and the cost of production is lesser as no set up is involved. It is a popular choice for desktop printing, on demand printing and even for printing photographs! What are the advantages offered by digital printing? Speed – Digital printing does not require a special set up and reduces the steps involved in printing. A single person can manage the print job, leading to quick turn around time and more cost efficiency.